Are you seeing yourself to be a flight attendant to any airline companies? Start updating your resume and join the GRAND RECRUITMENT EVENT of Cebu Pacific Air. 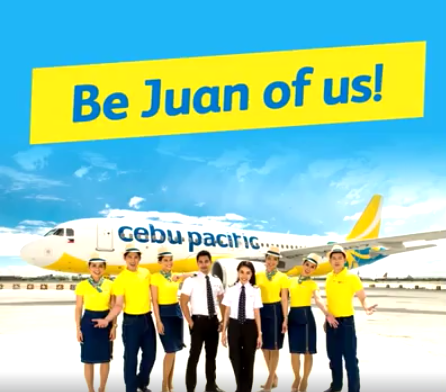 Cebu Pacific Air is currently looking for Cabin Crew, Ground Crew and Customer Service Agents positions. If you have the guts, determination and fun personality, then you could be what they’re looking for. Apply now and join the recruitment fair on February 24, 2018. Ensures that guests have a fun and pleasant flying experience. Note that they will only be accepting CVs from 9AM to 1PM for Cabin Crew Applicants and 9am to 3PM for Customer Service Agents and other Ground Crew Applicants. Be sure to bring updated CV with 2×2 picture at the 5th floor, Activity Area, Cebu Pacific Bldg., Domestic Rd., Pasay City and come in business attire. hi still hiring for this position ? Good Day. I want to ask if you are hiring in Bacolod City? I am interested to apply. Thank you.